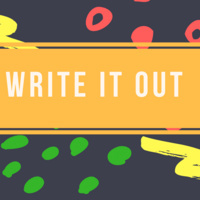 Join LGBT & Multicultural Resource Center Assistant Director Evolve Benton for Write it Out: Reshaping your story through poetry. This interactive poetry workshop will include a short reading from the work of James Baldwin & Yesika Salgado and some writing prompts to guide participants on a journey of reshaping their stories. Early arrival is suggested and RSVP is required.